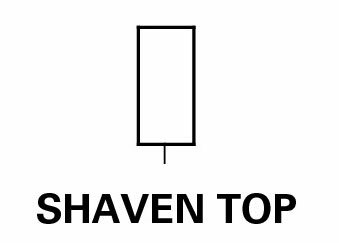 In trading charts, candlestick bars display the price bar in a graphically different way from the standard bars. Candlestick charting was developed in Japan at least 150 years ago, where traders applied it to prices in the rice market. 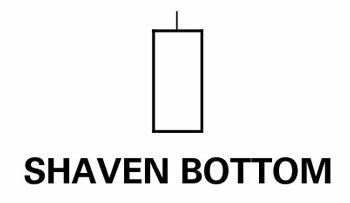 You can quickly and easily figure out how to identify a handful of the top candlestick patterns. White: The close is higher than the open. Black: The close is lower than the open. 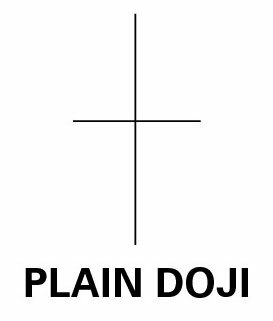 A candlestick that has no real body or only a very small one is named a doji. In a doji, the open and the close are at the same or near the same level. This figure illustrates three types of dojis. 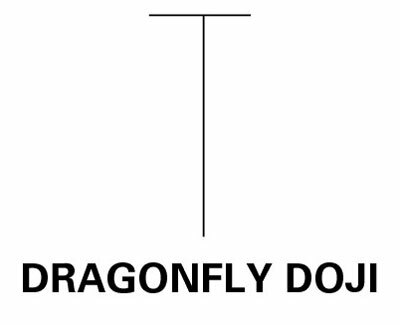 Dragonfly doji: Look for the long, lower shadow that means the open, high, and close were the same or nearly the same. Because the close was back up at or near the open, buyers must have emerged before the end of trading and bought enough to move the close to the high or nearly to the high. Price move is a downtrend: The dragonfly may mean that buyers are emerging and the downtrend may be ending. After a series of uptrending bars: Buyers failed to push the price over the open to a new high while sellers succeeded in getting a low, so the uptrend may be in trouble. After a series of uptrending bars: Buyers failed to get the close at the high. Sellers dominated and the uptrend is at risk of ending. 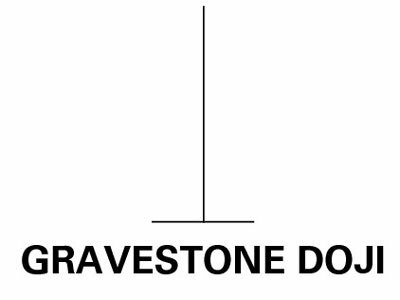 Price move is a downtrend: The gravestone doji may mean that buyers are emerging and the downtrend may be ending. Open is at the high: The day’s trading was all downhill from there. Not only is it a black candlestick, bearish to begin with, but it’s also doubly bearish that no net new buying occurred after the open. Close is at the high: The net of the day’s trading was at higher prices, which is bullish. The candlestick is also (by definition) white — a bullish sign. Open is at the low: Bulls dominated all the day’s trading. Close is at the low: All the day’s trading points to bearish sentiment. 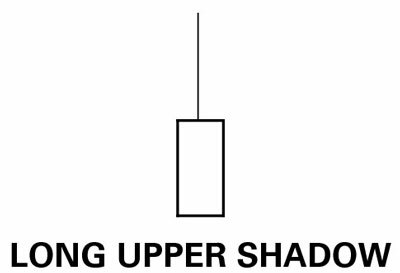 Uptrend: The long upper shadow is a failure to close near the high. If the uptrend is nearing a resistance level, the long upper shadow may signal a weakening of the uptrend. If a long upper shadow follows a doji bar indicating indecisiveness, you should worry that the uptrend may be over. Downtrend: The long upper shadow suggests that some market participants are buying at higher levels. Especially if a long upper shadow follows a doji bar, you should wonder if the downtrend might be ending. 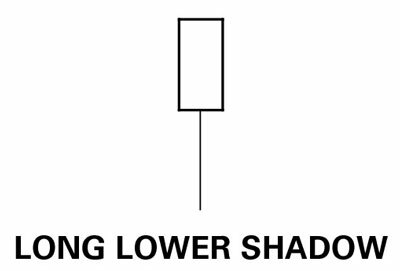 Trending down: The long lower shadow is a failure to close near the low. If the downtrend is nearing a support level, the long lower shadow may signal a weakening or an end of the downtrend. Trending up: The long lower shadow suggests that traders were not willing to keep buying at the high levels right up to the close. This signal can be a warning sign of the trend decelerating or ending.